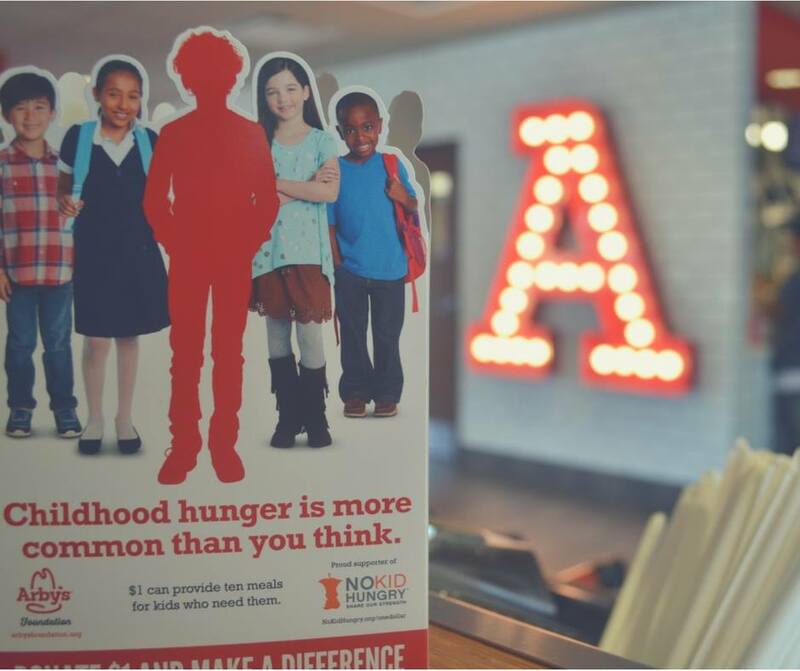 The @arbysfoundation kicks off National Restaurant Fundraiser today http://bit.ly/2bLU6x7 Donate @Arbys to help end childhood #hunger. ATLANTA, August 29, 2016 /3BL Media/ – Childhood hunger lives in communities large and small across the country, with no regard for geographic or demographic boundaries. In an effort to raise awareness to this issue and help end childhood hunger in America, Arby’s® restaurants are teaming up with their guests to make a difference. Starting today through Oct. 9, 2016, the Brand is hosting the 2016 Arby’s Foundation National Restaurant Fundraiser, where guests can make in-restaurant donations to support the Arby’s Foundation and its mission to end childhood hunger in partnership with No Kid Hungry. A $1 donation can provide up to 10 nutritious meals for children in need. As a thank you for their donations, guests who make a donation of $1 or more also receive a coupon for a free slider on their next visit. "1 in 5 children struggle with hunger in this country. That means that more than 16 million kids are lacking in one of the most basic of needs" explained Paul Brown, CEO, Arby’s Restaurant Group, Inc. "Unfortunately, this issue can often go unnoticed. That is why Arby's and the Arby's Foundation are doing everything we can this year to make sure that this issue gets attention and funding." Since 2011, the fundraiser has generated more than $15 million, helping to further the impact Arby’s has made in ending childhood hunger. Nationally, in partnership with No Kid Hungry, these funds have helped connect kids struggling with hunger with more than 460 million additional meals. The Arby’s Foundation is currently wrapping up School’s Out, Food’s In, a summer meals program aimed to support children who struggle to find meals when free or reduced school lunches are not available. The summer initiative includes a meal card program that has provided access to more than 1.6 million free lunches since May. The Arby’s Foundation, the charitable arm of Arby’s, carries out a mission to end childhood hunger in America. Building on a philanthropic heritage that has contributed over $71 million to child-related causes since its inception in 1986, the Arby’s Foundation is working to ensure every child in America has the meals they need to succeed, especially when school is out. With more than 16 million U.S. children—more than 1 in 5—facing hunger daily, the Arby’s Foundation has devoted its resources to providing education and access to wholesome food choices for children across the country. The Arby’s Foundation is a registered 501 (c) (3) organization headquartered in Atlanta. To learn more, visit www.arbysfoundation.org.